The 2016 Deloitte Human Capital Trends Report notes that 89% of executives “rated the need to strengthen, reengineer, and improve organizational leadership” as important or very important. In fact, according to this report, leadership is the second most important human capital trend for this year. 28% of respondents also reported weak leadership pipelines as an issue. It is important to develop leaders who are able to work collaboratively, self-assess, and work with more diverse teams. This growth of corporate learning is also supported by the rise of spending on training. Forbes reported that US spending on corporate training has grown to over $70 billion in the United States. This rapid growth can be attributed to multiple variables, including economic recovery and a skills gap. A skills gap develops when there is an inconsistency between the amount of skilled workers and the amount of skilled workers an organization demands. Spending money on training and developing current employees is one way organizations are trying to offset the skills gap effect on their business. Although the spending does vary by industry, ATD’s State of the Industry Report stated that the average direct expenditure per employee per year is $1,229. Forbes also reported that high-performing companies spend more. “Companies which fall into our ‘high-impact’ categories spend significantly more on training than average.” This shows that companies who spend more per employee than those who spend inconsistently are seeing the learning and development investment paying off. According to a study published in the International Journal of Academic Research in Business and Social Sciences, organizations that train and develop their employees see improved profitability “while cultivating more positive attitudes toward profit orientation.” For the employees on an individual level, training and development improves expertise of their position, the company’s goals and the relationship between the two. The State of the Industry Report also notes that businesses are providing employees with an average of 32.4 learning hours per year. Another report from Forbes notes that the top area of spending continues to be management and leadership. Spending on leadership development has been trending as the top area of spending for years and is projected to remain on the up. 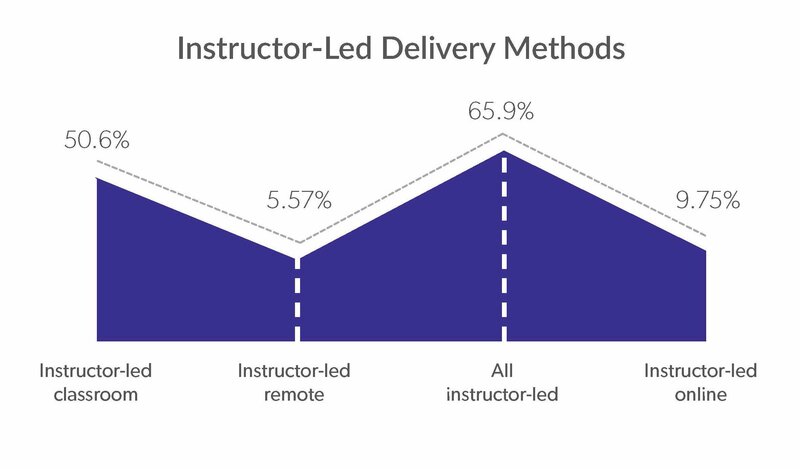 More than half of all issued training and learning hours continue to be instructor-led classroom training. Having a live instructor lead the classroom supports an interactive environment that allows a personal element in which responses, connections, and reactions are prevalent. In addition to being the top content area of training spending, managerial and supervisory training continues to be the most sought after area of learning content. The demand of managerial and supervisory training is likely due to a variety of factors, such as the generational shift of the workforce. The 2016 Deloitte Human Capital Trends Report also states that “the traditional pyramid-shaped leadership development model is simply not producing leaders fast enough to keep up with the demands of business and the pace of change.” Managerial and supervisory training helps organizations develop their current and future leaders in the areas of communication, conflict management, employee performance, employment law, problem solving, decision making, etc. Managerial and supervisory training is predicted to continue to hold its #1 spot of sought-after learning content due to the generation shift in the workforce. Millennials want to take on more responsibility but are aware they are lacking the leadership skills needed to be successful in a supervisory or managerial role. In a Bersin by Deloitte study of millennial leaders, 30% of respondents still do not feel ready to be in their leadership role. They cited “managing difficult people or situations, lack of experience, and dealing with conflicts” as their top concerns and reasons behind their lack of preparedness. 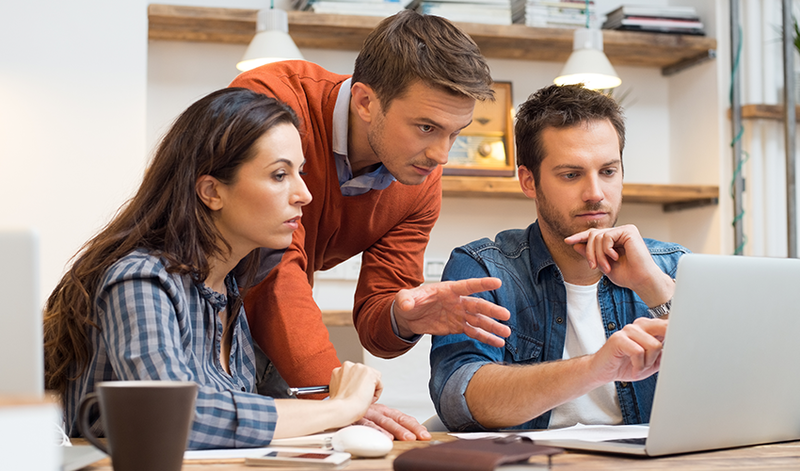 Leadership training is a key component in keeping and retaining talented millennial leaders.